My goooooooood!! Really nice i love it!! In Spain there isn't this amazing colours! What a shame!!! 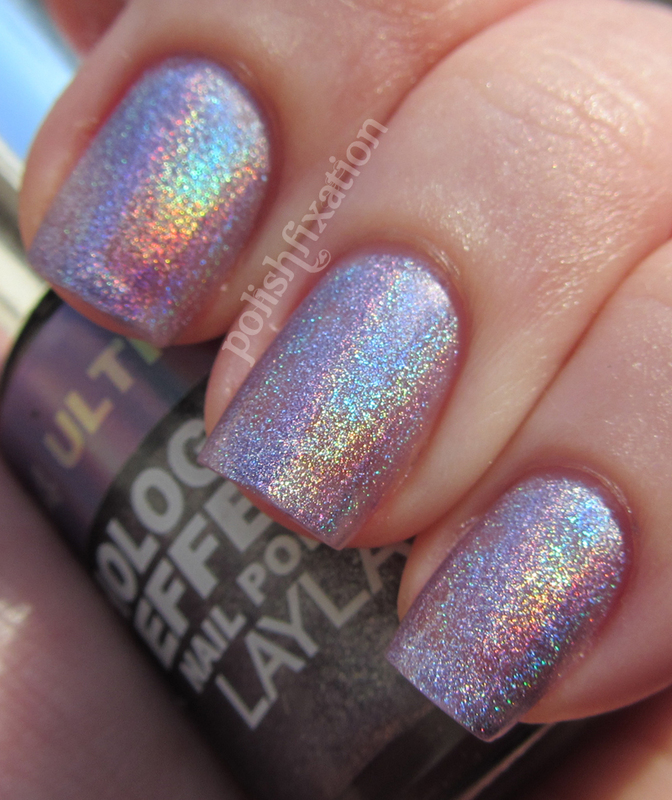 Such beautiful holo goodness!! I love it! So many questions! Did you use aqua base? If not did you buff or use something else? How many coats of UV was this? 1, 2 or 3? 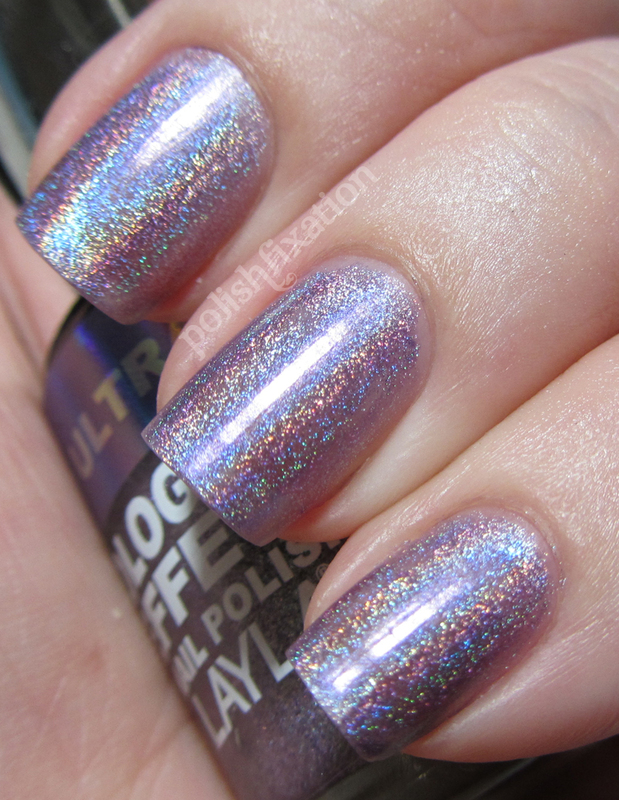 It's so shiny it begs the final 10 million dollar question, did you use a top coat? Wow! I love this polish! I got mine (UV too!) in 4 days from AveYou and I have yet to try it because I want to get Nfu Aqua Base and I bought Clearly Quick from Sally Hansen's Insta-Dri line as I have heard it doesn't dull the holo effect. Sorry for the twenty questions but inquiring minds want to know! LOL! Thanks for the swatches! I love it, it is really beautiful ! 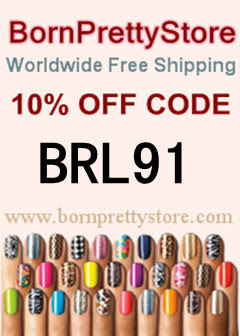 I didn't knew this brand of nail polishes, I don't think we have them in France. holo-cow! (lol) that is amazing! I need Layla in my life!!!! wow! Absolutely beautiful!!! I only have Flash Black so far but this one is next on my list. 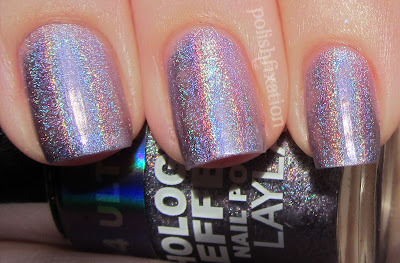 It's so good to see holos readily available again! Layla is the only brand of holographic polishes I have tried but they are soooo pretty, I am so glad I chose them. I am usually not a fan of black polishes but their black color is amazing!